Life isn’t all fun and games, but when you can integrate play into something educational, that’s the name of the…well, you know. 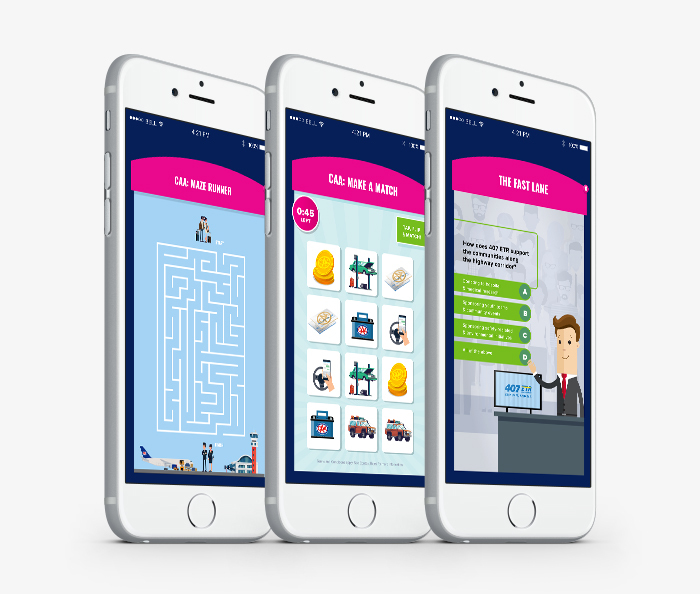 When CAA approached Community to increase consumer awareness of their products, services and partnerships, we developed a more engaging, and fun, Game of Life experience that delivered key information in a more meaningful way. In its initial phase, the game simply allowed players to spin the wheel as they travelled along the board, learning about CAA along the way. When we got our hands on the game for 2.0, we crafted a fully immersive consumer experience. 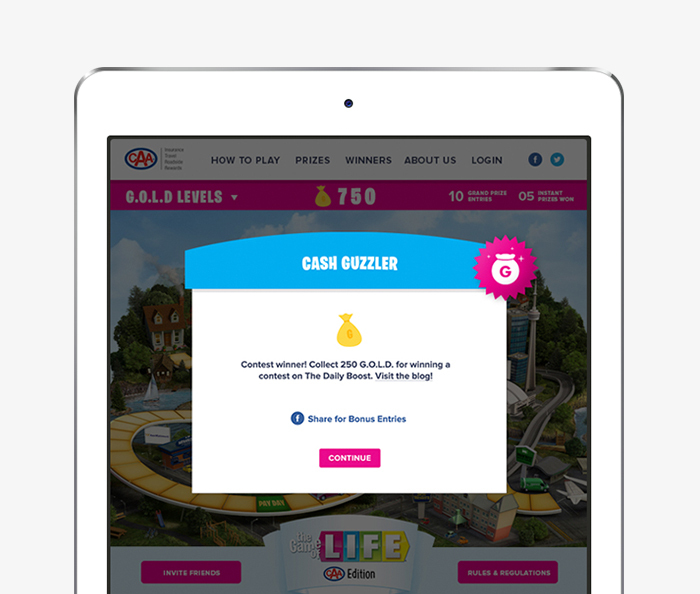 We revamped the existing game to offer social login and sharing, leveraged partnerships in highly creative ways, replaced a Flash-based system with an HTML5 platform complete with mobile version, and offered gamers a host of prizing opportunities. The site’s animated background was updated in real time, reflecting the current weather, season and time of day. The 8-week campaign resulted in a 158.8% increase in total viewers, 1022% rise in CAA website visits and a 360% increase in unique game plays. That’s what we call a win-win-win.